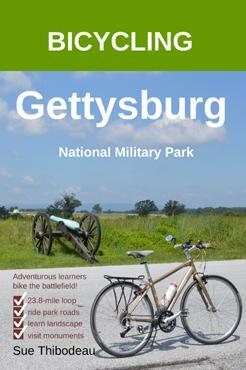 Who were Hill’s division commanders at Gettysburg? Maj. Gen. Richard H. Anderson (1821–79). Anderson was from South Carolina. 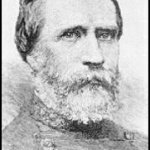 Maj. Gen. Henry Heth (1825–99). 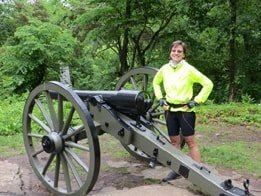 Heth was from Virginia. Brig. 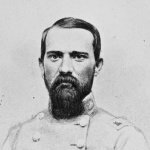 Gen. J. Johnston Pettigrew (1828-1863), from North Carolina, replaced the wounded Heth at Pickett’s Charge on July 3. Maj. Gen. William D. Pender (1834–63). Pender was from North Carolina. 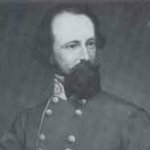 Maj. Gen. Isaac R. Trimble (1802–88), from Kentucky, replaced the wounded Pender at Pickett’s Charge on July 3.
Who commanded the Confederate 3rd Corps? Also called A. P. Hill. Who were the brigade commanders in Anderson’s Division (Hill’s Corps)? Brig. 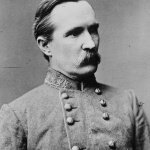 Gen. William Mahone — a brigade from Virginia. Col. David Lang (for Brig. Gen. Edward Perry, who was very ill) — a brigade from Florida. Brig. Gen. Carnot Posey — a brigade from Mississippi. Brig. Gen. Cadmus M. Wilcox — a brigade from Alabama. Brig. Gen. Ambrose R. Wright — a brigade from Georgia. Who were the brigade commanders in Heth’s Division (Hill’s Corps)? Brig. Gen. James J. Archer — a brigade from Alabama and Tennessee. Col. John M. Brockenborough — a brigade from Virginia. Brig. Gen. Joseph R. Davis — a brigade from Mississippi and North Carolina. Brig. Gen. J. Johnston Pettigrew — a brigade from North Carolina. Who were the brigade commanders in Pender’s Division (Hill’s Corps)? Brig. Gen. James H. Lane — a brigade from North Carolina. Col. Abner Perrin (for Brig. Gen. Samuel McGowan, wounded in May 1863) — a brigade from South Carolina. Brig. Gen. Alfred M. Scales — a brigade from South Carolina. Brig. 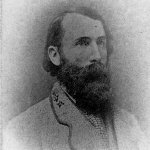 Gen. Edward L. Thomas — a brigade from Georgia.